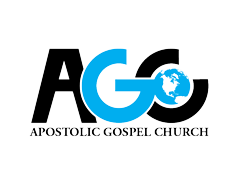 It’s always a great time to check out AGC, where we have a saying that “If you do not have a church home, Welcome Home!” There’s joy in coming together with other believers. Or, if you are searching for answers and not sure where you stand, then we are here for you as well! Not only is Everyone Welcome, but we also look forward to gathering with people from all backgrounds. Wherever you are in your journey, there’s a place for you at AGC. What’s it like at AGC? You will be greeted with a friendly atmosphere. Our parking and greeting staff members would love to meet you and may even offer to give you a tour! When Should I Arrive? Feel free to arrive a few minutes ahead of time, or come in as you arrive – even if you’re running late. What should I Wear? Wear whatever you feel comfortable wearing. You will see various styles and levels of dress. Have Questions While at AGC? We have volunteer staff throughout the building and at each entrance to answer any questions you might have. We want you to feel welcome and at home at AGC.